In 2007 more than 5,600 dog foods were recalled and pet owners worldwide were shaken. The dog food recall of 2012 was not as expansive as the one in 2007, but you need to know which foods to avoid and some tips to keep your dog healthy. After all, it does have the potential to cause illness in dogs and their owners. The Diamond Pet Foods’ South Carolina manufacturing facility is to blame and as such, many popular dog food brands are being recalled. Below we will take a look at the foods that are being recalled and why the recall is being made. As of May 14, 2012 the following dog foods have been recalled due to possible contamination with salmonella. Solid Gold has issued a recall for two of their dog foods with specific batch codes as a precautionary measure. To date according to Solid Gold, no cases of salmonella have been linked to these foods. Apex Dog Food has issued a voluntary recall for all of their dry dog foods manufactured on January 24, 2012. The recalled foods were distributed only in South Carolina. To date, Apex Dog Food claims there have been no cases of salmonella linked to these foods. Apex Chicken and Rice Dog, 20 and 40lb, Best before January 24, 2013, Production code ACD0101B32. Canidae has issued a voluntary recall of four of their dog foods, at this time the recall covers only dry dog foods with production codes with both a number “3” in the 9th digit and an “X” in the 10th or 11th digit – and a best before dates of December 9, 2012, through January 31, 2013. These products were distributed in the following states: Florida, Massachusetts, New York, North Carolina, Pennsylvania, South Carolina and Tennessee. It should be noted that online shopping may result in the distribution of these foods to other states. Canidae Platinum Dry Dog Food. Canidae All Life Stages Dry Dog Food. Canidae Lamb Meal & Rice Dry Dog Food. Canidae Chicken Meal & Rice Dry Dog Food. Wellness Dog Food has issued a voluntary recall on one of their dog foods with specific best by dates. According to Wellness, they no longer conduct business with Diamond Pet Foods and none of their other dog foods were affected by the salmonella outbreak. Wellness Complete Health Super5Mix Large Breed Puppy, 15 lb. and 30 lb. bags and 5 oz. sample bags with best by dates of January 9, 2013 through January 11, 2013. Natural Balance has issued a voluntary recall on some of their dry dog food options. To date, Natural Balance claims that no cases of canine salmonella poisoning have been linked with their foods and none of the recalled foods have tested positive for contamination. 5 LB Natural Balance Sweet Potato and Venison Dog Lot Code NBH1202 Best By Date: December 12-13, 2012 Lot Code NBH0103 Best By Date: March 13, 2013. 15 LB Natural Balance Sweet Potato and Venison Dog Lot Code NBH0101 Best By Date: March 5-6, 2013 Lot Code NBH1202 Best By Date: December 12-13, 2012 Lot Code NBH1203 Best By Date: December 13-14, 2012. 28 LB Natural Balance Sweet Potato and Venison Dog Lot Code NBH0101 Best By Date: March 5-6, 2013 Lot Code NBH0102 Best By Date: March 7-8, 2013 Lot Code NBH0103 Best By Date: March 12, 2013 Lot Code NBH1202 Best By Date: December 12-13, 2012 Lot Code NBH1203 Best By Date: December 13-14, 2012. 5 LB Natural Balance Lamb Meal and Brown Rice Dog Lot Code NBR1202 Best By Date: December 10, 2012 Lot Code NBR1203 Best By Date: December 21-22, 2012. 15 LB Natural Balance Lamb Meal and Brown Rice Dog Lot Code NBR1202 Best By Date: December 10, 2012 Lot Code NBR1203 Best By Date: December 21-22, 2012. 28 LB Natural Balance Lamb Meal and Brown Rice Dog Lot Code NBR1202 Best By Date: December 10, 2012 Lot Code NBR1203 Best By Date: December 21-22, 2012. Lot Code NBT1203 Best By Date: December 28-29, 2012. 15 LB Natural Balance Sweet Potato and Bison Dog Lot Code NBT1201 Best By Date: December 9, 2012 Lot Code NBT1202 Best By Date: December 17-18, 2012 Lot Code NBT1203 Best By Date: December 28-29, 2012. 28 LB Natural Balance Sweet Potato and Bison Dog Lot Code NBT1201 Best By Date: December 9, 2012 Lot Code NBT1202 Best By Date: December 17-18, 2012 Lot Code NBT1203 Best By Date: December 28-29, 2012. 5 LB Natural Balance Vegetarian Dog Lot Code NBV1201 Best By Date: December 9, 2012. 28 LB Natural Balance Lamb Meal and Brown Rice Dog Large Breed Bites Lot Code NLB1202 Best By Date: December 12, 2012 Lot Code NLB1203 Best By Date: December 20-21, 2012. 5 LB Natural Balance Lamb Meal and Brown Rice Dog Small Breed Bites Lot Code NSL1201 Best By Date: December 21, 2012. 12.5 LB Natural Balance Lamb Meal and Brown Rice Dog Small Breed Bites Lot Code NSL1201 Best By Date: December 21, 2012. Kirkland Dog Food has issued a voluntary dog food recall on a number of their dry dog food products. Kirkland Signature Super Premium Adult Dog Lamb, Rice & Vegetable Formula (Best Before December 9, 2012 through January 31, 2013). Kirkland Signature Super Premium Adult Dog Chicken, Rice & Vegetable Formula (Best Before December 9, 2012 through January 31, 2013). Kirkland Signature Super Premium Mature Dog Chicken, Rice & Egg Formula (Best Before December 9, 2012 through January 31, 2013). Kirkland Signature Super Premium Healthy Weight Dog Formulated with Chicken & Vegetables (Best Before December 9, 2012 through January 31, 2013). Kirkland Signature Nature’s Domain Salmon Meal & Sweet Potato Formula for Dogs (December 9, 2012 through January 31, 2013). The following brands are also affected by the recall. No specifics have been provided as to the recall except for the products date of manufacture: December 9, 2011 and April 7, 2012. Why Are These Foods Being Recalled? The Diamond Dog Food plant located in Gaston, South Carolina tested positive for the presence of salmonella. As a result of this, all pet food companies that conducted business with this plant within a specific time period are recalling their pet food products. If you have a bag of dog food that is covered under the recall at this time the first step you need to take is to stop feeding the product. Even if your dog has not presented with any symptoms of salmonella poisoning tainted food should be discarded. It is also important that any time you handle this food; you wash your hands thoroughly to avoid contracting salmonella poisoning. Many of the dog food companies involved in this recall are offering their clients compensation for their contaminated dog food purchase. In order to see if your dog food company is offering compensation option, visit their company website. Most commonly these companies are requesting a receipt of purchase and a UPC code from the dog food packaging. Some people store their dog’s food in resealable containers in order to keep food fresh, often this means that the original dog food bag has been thrown out. If you no longer have the UPC code from your dog food bag you will be unable to check the production code to see if your food is among the recalled batch. In this circumstance it is always best to discard the dog food in question. If you have discarded the bag from your dog food you may also find it difficult to claim a refund for your purchase if you suspect that your dog’s food has been tainted. The best way to avoid this from happening in the future is to clip the UPC code from your dog’s food and keep it taped to the resealable container with your dog’s food until the food is finished. Why is this Recall Important? Any dog food recall is important even a voluntary one because it can not only result in our pets getting sick but in some cases (such as this) it can lead to us getting sick as well. To date, as a result of this recall, sixteen dog owners have contracted salmonella. Eleven individuals scattered across the United States and five in Canada have tested positive for the rare strain of salmonella Infantis and some have even been hospitalized. The cases in Canada are all located in Quebec; the cases in the United States are in North Carolina, Missouri, Ohio, Pennsylvania, Alabama, Connecticut, Michigan, New Jersey and Virginia. How is Salmonella in Dog Food Contracted by Humans? Touching contaminated dog food and not washing your hands immediately following. Touching a dog bowl that has been used to hold contaminated dog food. Touching saliva or feces of a dog that has contracted salmonella poisoning. Contracting this strain of salmonella can be avoided by washing your hands thoroughly following any of the actions listed above AND discarding the suspect dog food. Signs of salmonella poisoning in humans include: nausea, diarrhea, fever, abdominal cramping and vomiting. This illness and its accompanying symptoms can last for as long as a week. While most humans are capable of recovering from a bout against salmonella, children, the elderly or those with compromised immune systems may require hospitalization as a result of their symptoms. The symptoms of salmonella generally present twelve to seventy two hours after exposure to the bacteria. If your dog displays any of these symptoms it is important to take them to your veterinarian immediately in order to prevent more serious symptoms. One of the most commonly seen symptoms to develop in cases of salmonella is dehydration resulting from chronic diarrhea. Dehydration can be prevented by your vet by the administration of IV fluids. Your vet may also recommend performing a number of tests to ensure that your dog is suffering from salmonella poisoning. In a case where a dog is suffering from a severe case of salmonella poisoning the vet may recommend an antimicrobial. It is also advised to put a dog on a 48 hour food restricted diet if possible in order to help to eliminate the cause of the infection. 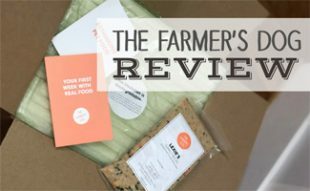 Why Recall Food that is Testing Negative for Salmonella? Many people are asking why so many dog foods are being recalled if the majority of them have not tested positive for salmonella. There are two possible answers to this question. The most likely answer is that since this is a voluntary recall, companies are concerned about their image and the possibility that consumer’s pets will become sick. By issuing a voluntary recall these companies can show that they genuinely care about the health of consumers pets rather than try to hide the fact that they did business with Diamond Pet Foods. The second possibility is that companies are not being forthcoming about potential cases of contamination. Considering the ramifications that companies may face if they are concealing information however, it is more likely that there simply have been no confirmed cases of salmonella in foods that are currently making this claim. What Dog Foods Are Safe? With so many types of food being recalled, dog owners may begin to feel overwhelmed that they are running out of dog food options. This should not be the case, since only certain batch numbers and foods with certain expiration dates were affected. There are a number of safe bags of food that have been produced by these large name companies, it is simply up to you to check basic information to ensure a food type is not covered by the recall. It is generally not recommended to change your dog’s food unless they develop sensitivities or other health related issues related to the food they are on. With that said, some dog owners, particularly those in small towns, may find a shortage of “Safe” dog food options. 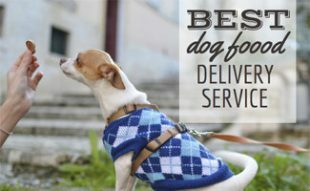 If you find yourself in this position, you could consider ordering your dog’s food online to be delivered to you, or you can attempt to switch to a new food. Switching your dog to a new food is always recommended as something that should be done gradually. Read the exact steps to take when changing your dog’s diet to make sure the transition is a smooth one. How Many More Foods Will Be Affected? The current string of dog food recalls have many pet owners anxious over whether their dog food brand will be recalled next. Since the contamination has already been announced, most companies that use the Diamond Pet Food Company in their production, have already recalled potentially contaminated foods. That is not to say that more companies will not follow, but it is likely that the bulk of companies have already made their announcements, since a slow response to recall could result in numerous lawsuits. If you have any questions about your pet food brands involvement in the current 2012 dog food recall don’t hesitate to contact your pet food manufacturing company to get answers. Increasing numbers of dog owners are considering a raw based diet or home cooked food as mid 2012 has brought even more pet food recalls in to the news headlines. The most recent dog food recall as of the time that this article is being written, has been made by Bil-Jac. The limited recall is based on the finding of mold in a number of bags of food within a specified batch. Bil-Jac Foods, located in Medina, Ohio issued a recall for 6 LB Adult Select Formula Dog food bags from batch 1792-02 of dry food. The expiration date on these bags is December 27, 2013 and there were a total of 1,024 bags of food affected. So far the veterinarian on staff for Bil-Jac Foods has stated that only a few bags in the batch being recalled were found to have mold present. There has yet to be a determination of what type of mold is present in the food, but it is believed that the mold is due to a higher moisture count than usual in the batch. Previous pet food recalls have been made by other pet food companies for the same reason and in these cases the recall was made due to the presence of Aspergillus fungus. The fungus Aspergillus can frequently be found on dead leaves, compost piles, decaying vegetation and in stored grain. The presence of Aspergillus in the dog food causes the food to spoil and the fungus itself causes the production of Aflatoxins. Aflatoxins are mycotoxins (metabolites produced by the fungus organisms) and are particularly toxic and known to cause cancer. Once Aflatoxins enter the body they proceed to the liver where they are metabolized. When these unsafe levels of Aflatoxins are found in foods, those foods are recalled immediately. 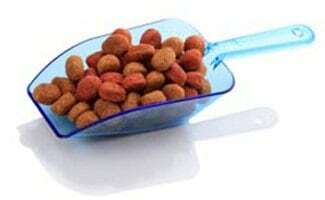 An example of one Aflatoxin recall in recent history is the Diamond Pet Food recall in December of 2005. In this recall 19 products that were distributed in 23 states were recalled. Most importantly, pet owners want to know what exposure to Aflatoxins means and how it will affect the health of their pets. Research shows that Aflatoxin exposure can result in liver disease in some dogs, but not all. Data indicates that the potential for developing liver disease is related to the amount of the toxin ingested as well as the time period over which the toxin was ingested. An article in the Journal of the American Veterinarian Medical Association article entitled “Potential for dietary protection against the effects of aflatoxins in animals” suggests that toxic levels of Aflatoxin in dogs is 100 – 300 ppb and requires exposure continuously for multiple weeks in order for dogs to show signs of toxicity. It is also noted that there is no evidence available currently that indicates whether dogs that have suffered toxicity in the past will suffer negative health effects in later life as a result of exposure. Is There a Cure For Aflatoxin Exposure? While pet food (and human food) recalls are made as soon as the presence of Aflatoxin releasing fungi is detected, there are cases where the products have already been released on the market. In these instances exposure to Aflatoxin’s has already occurred. There is currently no cure for exposure to these toxins and treatment is focused on treating the symptoms and providing supportive care. Veterinary care may consist of intravenous fluids that contain dextrose, active vitamin K and B vitamins in addition to a restricted high quality protein based diet with minimal but adequate carbohydrate content. What Will Happen to Bil-Jac Foods? A recall has already been issued for the affected foods from batch 1792-02 with an expiration date of December 27, 2013. The recalled food is being tested by a laboratory outside of Bil-Jac to determine what effects the mold contamination could have on consumers. The veterinarian for Bil-Jac, Dr. Bingham states that the company is being overly cautious in the matter to ensure that consumers can continue to trust the Bil-Jac brand name. In the meantime, Bil-Jac has issued a company statement on their website for the affected bags of 6 LB Adult Select Formula Dog Food. They emphasize that currently on 6lb bags of food have been affected by the recall and offer consumers the opportunity to contact them with any questions by calling toll free at 800-321-1002 x 239, and ask for Shannon, during business hours, M-F, EST. The small batch recall is unlikely to affect long-term consumers of Bil-Jac foods; however, whether it will tarnish their name for new or future customers is unknown at this time. 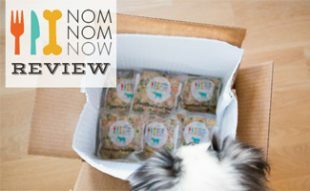 What is known is that with so many pet food recalls taking place over the past few years, more consumers are looking in to small locally produced kibble options and raw feeding. While both of these options are good choices for our dogs, the bigger question remains – when will harsher regulations be placed on dog food manufacturers? If stricter monitoring took place of the manufacturing facilities product recalls would be few and far between and most pet owners agree that it would be worth an extra $1 or two per bag of food to ensure their pet food quality. The dog food recalls that are commonly seen in the news paper or on the local news are often related to dry kibble type foods. The truth is that as a dog owner, there is more than just dry kibble to worry about when it comes to dog food contamination. Over recent years both wet dog food and dog food treats have also become products of great concern in terms of the potential for contamination. Many wet dog foods and dog treats are manufactured in the same factories as many of the recalled dry dog foods making them susceptible for cross contamination as well. One of the most recent and longer lasting recalls on dog food products has been on as number of dog treats, most particularly chicken jerky treats. In recent years chicken jerky treats that were manufactured in China were recalled after many dogs became ill after eating them. More recently however Nature’s Deli Chicken Jerky dog treats have been added to the recall list. On December 6th the recall was extended to products with the lot number of BEST BY BESTBY061913DEN. These treats were sold at Costco stores through Denver and Colorado. The production company – Kasel Associates Industries Inc. has yet to voluntarily recall these treats however, through working with the Federal Drug Administration Cost Co has pulled all of the questionable products off their shelves. According to the FDA, Costco will also be contacting customers who have purchased the product to give them detailed instructions on how they can return and exchange their product. It was first noted that something was amiss when in September 2012 when a sample of Kasel dog treats tested positive for salmonella. In November, 2012 after another batch of these jerky treats was tested by the Colorado Department of Agriculture it showed up as being contaminated by salmonella also. To date no reports of illness have been made associated with this contamination; however, anyone who has purchased these treats should return them to the store where they were purchased. Whenever there is a pet food or treat recall, pet parents want to know how they can avoid their pets being affected by the recall or any future recalls. The first step when a recall is issued is to check your pet’s food to make sure that it is not affected. You should always keep the section of your pet food bag that contains the lot number even if you keep your dogs food in a separate container. Having the lot number handy will make it easy to identify your dog foods lot number. If your dog’s food is affected by a recall immediately stop feeding it to your dog and contact the manufacturer for any details on the recall. In most cases of contamination recalls are voluntary and few dogs actually suffer from symptoms; however, in few cases there is potential for internal damage to affected dogs (such as with the Chinese corn gluten dog food contamination fiasco a number of years ago.) In these cases it is important to contact the manufacturer to obtain information on what has caused illness and how to proceed with veterinary care in addition to obtaining coverage for medical bills. Treating your dog’s symptoms should always be your first priority with any pet food recall. If you have not been affected by a pet food or treat recall but are still concerned with the current regulations monitoring dog food quality there are a few steps that you can take to improve your dog food safety. Purchase high quality dog foods. Higher quality dog foods have less filler ingredients and most frequently this is this type of ingredient that is contaminated. Buy domestically made dog foods. In the case of the corn gluten contamination, the corn gluten in question was imported from China where safety standards were lax. Buying dog food that uses only domestic ingredients helps to ensure that ingredients are under higher scrutiny in terms of their quality. It is important to make sure that food is made from domestic ingredients and made in the United States. A good example of such a domestic dog food is Fromm Family dog foods which are made solely from US ingredients. Try to buy dog foods that are made in smaller batches. This is a little more difficult to do but some smaller dog food companies advertise that their foods are made in smaller batches making them easier to identify. This allows for these companies to more readily identify contaminated batches of food and recall them. Consider other feeding options. If you have the financial resources there are other feeding options available that reduce the likelihood of your dog being affected by contaminated foods. Many people choose to feed a raw diet that eliminates unnecessary fillers and focuses on fresh raw meats and such. Another option is to make your own dog food from human grade ingredients. This step is a little more drastic and takes both time and money; however, many people resorted to this amid the corn gluten contamination. I never knew before this that contaminated dog food was a hazard to humans, too, although it stands to reason since we all live in close quarters with our dogs. Still, it makes the dog food recall information just that much more frightening. I was not even aware that Salmonella had such a negative effect on dogs. The thing that scares me is that dogs may be eating poisonous bacteria and not even have symptoms and yet still pass it on to humans, who are more sensitive. If you are like me, you probably take a lot of precaution to avoid bacterial contamination in your home, so alerts like this are especially important because you might not suspect your dog’s food as a potential contaminant (I sure did not!). What is heartening to see is that dog food companies testing negative are still recalling some of their products out of concern for the welfare of their consumers. It is probably much easier for a company to sweep the whole thing under the rug if they see it might not apply to them rather than caring for the dogs and their families who are their customer base, and I applaud this. I can't believe so many dog food brands are being recalled like this. This is really scary and the salmonella is affecting everyone it comes in contact with. I was surprised to see that Natural Balance was listed there as one of the dog foods that they were recalling. I mean, I've always thought that company was one of the better ones out there. I guess that if people aren't perfect and that the companies they run can make a mistake, but when you're dealing with food, I really think that you should have several checkpoints in place so that you can avoid these problems. You should be making room for the fact that there might be errors somewhere along the factory line and there should be one or two checkpoints in place at every stop along the way to catch these mistakes. These are serious strains of disease here. Eww, salmonella? Eww. This is gross and it's something that I can find on my grocery store shelf? I also find it disturbing that so many large brands are doing business with one plant and telling us they each have unique products. Whenever I read about a major product recall, I think about the major negative ramifications that the process and the publicity that something like that effects a company when they go through something like this. A major dog food manufacturer, or any manufacturer for that matter, spends a great deal of their resources on perfecting the process of making their product as cheaply and efficiently as possible to maximize profits. When you consider the amount of resources that must be then spent on facilitating the recall of the product, and the damage control necessary public relations-wise, it is just a tremendous loss for the company in general. I am sure that there was a certain amount of strife and pain that the companies listed in this article had to go through in order to right their respective ships and get things back to normal. Probably more than a few people paid for the mistake with their jobs in the end I am sure. However, I am sure that the pain of losing a pet due to disease from a mistake like this would be far worse. Food product recalls, for pets or otherwise, do not seem to happen very often, but when it does it seems to be pretty big news. Now that I think of it, I cannot even remember the last time there was a major processed food recall in the United States. It seems like produce and certain types of food products “in the raw” so to speak will have issues from time to time, like spinach and chicken has recently, but a major food product that goes through any kind of processing to be made ready to eat has not been on my radar for a while. That said, it makes me wonder how a processed dog food product could make it to our grocery store’s shelves before the problem could be addressed or prevented altogether. I am sure the dog food companies are asking themselves the same thing and some people are going to pay for it with their jobs. I definitely think it is a major problem and I hope that nobody has had their dogs get sick or worse as a result. As pet owners, we want to make sure their pets are protected. Whenever pet foods are recalled, we all get exasperated about it and the companies have to understand that. We love our animals as much as we love our children; pets are like our family for crying out loud! Tons of people I know ask “Why can’t the FDA do a better job of making sure food is safe?” The FDA is doing the best that they can do; sometimes they’re not sure if a food or drug has something in it that can cause adverse side-effects. Hasn’t there also been recalls on other things for pets? There have been recalls on some pet medications, flea collars, and other items for pets too. Thank goodness recalls are present simply to inform people that the item in question may not be safe for human or animal consumption. Without people working hard to stop these types of things from becoming a problem where would we be? It’s so scary that large companies can make mistakes like that. It always makes me think about trying to grow my own food. I have seriously questioned the standards and means that dog food manufacturers are being held against for quite some time now. I have heard from many resources that the way this food is produced is rife with “fillers” and chemicals that are in no way, shape, or form intended to be ingested by any living being let alone our family pets. Yet, people ignore the facts of cancer rates in dogs being astronomical and fail to read the ingredient lists on these products and feed their dog whatever happens to be the cheapest or has the most attractive packaging. Yet, all that seems to pale in comparison to the thought of actually poisoning our dogs with food that is so ill-prepared and produced that it is actually poisonous to our animals and to ourselves! How can it be that salmonella and other seemingly easy-to-prevent diseases are making their way into massive amounts of our dog food resources? I think it is time that consumer protection groups focus a little more attention on these products in addition to the human consumption products we are already monitoring. This article was surprising and a bit appalling to me, but the information is important and relevant, and I am glad I feel well-informed now. It is nice to see that some companies are voluntarily recalling dog food as a precaution, but I am still reeling from the fact that tainted or potentially tainted food was allowed out to the public in this day and age from an American manufacturer nonetheless. Still, it is good to know that the dogs themselves do not seem to be receiving the brunt of the effects of tainted food, since the tragedy of that seems even more awful than just the owners getting sick. Although I am sure that many people handling dog food for whatever reason, like me, do not expect to get bacterial poisoning from it, or even suspect that this might be a possibility. For me, the most important lesson I learned from the article was keeping the UPC from a bag of dog food handy and keeping informed about the food’s origins. But overall, knowing the signs and symptoms of Salmonella poisoning, and being able to recognize the potential cause of these symptoms, is of utmost importance. It really freaks me out to read about all these dog foods that were recalled. It also makes me angry at the companies that are making the dog food. They are hurting animals and most of the time they probably don't even hear about a fraction of the animals that got sick or died from contaminated dog food. I know if my dog food was recalled, I probably would not even bother to contact the company, especially if it is a company that has already had a recall. I mean, how many chances do you get to make your product without hurting anyone? Why aren't these companies more concerned about what they are selling? I'll tell you why. It's because of people like me. We just do not even want to go to the trouble of contacting the company or trying to get a refund. Half the time when you do that, they offer you a credit or gift certificate or something. But the thing is, if my dog food was recalled, I sure do not want to go back to that company and get some more. If anything, I would never buy from that company again. These companies count on the numbers working out in their favor, regardless of whether animals get sick or not. Whew! I have to say that I got lucky with this one. I did not buy any of these recalled dog foods. In fact, some of them I've never even heard of before. The Solid Gold WolfKing brand is not a brand that I am familiar with at all. I've seen Apex before and am a little shocked that their food was recalled, however I'm glad that the recall was only isolated to a certain state and that they were able to catch their mistake before too many animals received contaminated food. It is interesting because I didn't hear anything about these dog recalls at all. I don't watch the news a whole lot, (in fact, I need to start watching it more), but I think I would have heard about this before now, but maybe not. It makes me wonder what's causing these issues. Are companies too large, making it hard to maintain quality-control? When a company gets to be a certain size, I kind of feel like this is probably the issue. It's also one of the things that causes me to want to support small businesses when I can. The sheer number of recalls in the past year just really freak me out. How could any company be so incompetent and still stay in business, much less all of these companies. I have always bought my dog food from the same maker. I won't offer their name here, because as much as I like them, I'm not into free advertising. But I will say that I have never had a problem with them and they have never been on the recall list. What really concerns me is that people continue to buy from companies that are on a recall list. Does your animal mean that little to you? I am not really even an animal lover, but my children are. If you have ever had to watch your child hold a dying dog in his arms, you might be a little more selective about who you buy your do supplies from. Our dog didn't even die from that, but you can bet I pay attention to the recalls just so I can avoid ever having to witness that scene again! I am so tired of everyone blaming the manufacturing companies. We all know from past experience that companies care more about stock ratios, profit and little concern regarding our welfare. You do not have to look far to see that the banks, real estate, pharmaceuticals, supermarkets to pet supermarkets have all achieved irreparable damages to our economy and our health. Not limited to the abuse and horrifying treatment in chicken farms, cattle farms, ad infinitum. Has the government cut valuable resources to help ensure human and animal health? My dog was one who became ill, and I was hospitalized for salmonella poisoning. I am a colon cancer survivor so salmonella poisoning is serious for me.. The amount of recalls and cover ups concerning food, medication, dog and cat food has reached epic proportion. From blown Achilles tendon (by Cipro),to the deaths of our beloved animals is utterly ridiculous!! It is the FDA responsibility to safe guard us from what seems to be an ongoing problem. Are they seriously fining companies or just slapping them on the wrists. What do you think? Perfect example is the FDA has known for 6 years about the severe side effects of Cipro. My 82 year old father was effected by this; they never issued a warning or blacked labeled it until recently. Only 1 out of 15 doctors know about Cipro being black labeled. The FDA's response to me; they weigh the pros and severity on all products and decide what is pulled or not, based on the need for this medication. Like there is no other comparable antibiotic. Was a mass alert or warning sent to Doctors or hospitals? Of course not. The FDA states it is not their responsibility to send out warnings to all medical professionals and institutions. Why not? With technology today it would be simple to obtain once the initial set up was constructed. With all the saver cards that people file into every company including dog supermarket databases, why not do something productive like sending out emails to all customers warning them on the products they sell when they are recalled? I do not know about you; but I receive coupons, sale points, and ads from these companies at least once a week, why not make it mandatory to send out warnings? With the subject in capital letters WARNING!! Why not, because it would cost the pet stores money, it would bring down stock shares and the board members cannot have that. The FDA, FTC, could bring into law this simple most effective way to reach people immediately. I was unable to walk my dog during the contamination, so I had no idea my dog had diarrhea. She just stopped eating. Only by past experience did I research recalls. This contamination did not make the news here! So my opinion is the FDA should be over run by pet owners demanding some kind of notice and more inspections, fines and closings of companies that care more about profit than pets. The FDA looks at pet as property, not as our children. Maybe, just making an uproar would change their mind. Just food for thought! No pun intended. If Big Brother is able to watch us from space; anything else is a piece of cake. I am so thankful that I do not use any of these brands. I love my animals and would hate to ever think that they got sick because of something I fed them. Even though I don't use any of these brands, the amount of recalls this year just blows me away. I know it is not just dog food either. It is baby food and other items as well. Because of all the recalls, I have found myself constantly checking to see if there are recalls on things I have bought. I am a pretty careful shopped anyhow, but this makes me take an extra step. It is very upsetting to think that some of these issues could leak through. One thing that I have found to be helpful is just sticking with one brand. I am not saying my brand will never have a recall but choosing one and sticking with it does make it easier to search and find any recalls that may have been issued. Of course, sticking with one type of food also makes things easier on my pup because dogs do not really respond well to changes in their diet. I also store my dog food in a closed contained so I don't have to worry about anything getting into my dog food at home either. I find stories like this scary. Any kind of recall just makes me feel unsafe, and like companies are irresponsible. I just wonder how these products make it to the market unless manufacturers are rushing without paying attention to what they're doing. It just scares me that there are recalls of baby products, pet food, human medications and food. It's just terrifying. I guess you have to understand that humans are not perfect and that mistakes can happen, but I just feel like over the years, have they not come up with more effective systems of checks and balances to avoid slip ups like this? I truly appreciate that you always take the time to cover current dog related events on your blog, in addition to your articles about health and dog care. If it were not for that, I might not have ever learned the details of this recall. It was also shocking to realize that in 2007, over 5,600 dog foods were recalled. At that time, I was doing a lot of traveling and didn't have a dog, so I never even heard of this. One of the greatest fears of any dog owner has got to be their pup getting sick. Recently, there have been a number of dog food recall notices. Apparently what happened is that a large dog food production or processing plant located in South Carolina tested positive for the presence of salmonella. This led to every brand that did business with that plant issuing a voluntary recall of their branded dog food. As this article points out, there are a lot of signs which can present themselves in dogs if they were to have salmonella poisoning. Some of these can include fever, diarrhea, vomiting, dehydration, mucus in their stool, weight loss, rapid heart rate, electrolyte imbalances, blood in the stool, and even more nasty things like suffering a miscarriage or spontaneous abortion. The best way to treat your dog if you suspect salmonella is to take them to their vet asap. The pet doctor may recommend a number of different treatments, including a food restricted diet for a day or two in order to help eliminate the cause of the problems. Be sure to follow their recommendations to the letter. It's simply horrifying how often recalls happen lately. It's not just pet food either. It seems as though recalls with pet food, human food, toys, and vehicles happens almost weekly. As a pet owner, it's scary to turn on the news and hear about yet another recall. You question whether or not you should continue buying store-bought food, even though your food wasn't in the recall. The sad thing is these recalls are often very serious. This isn't something that could just make your dog sick, in many cases, these recalls have come about because a number of pets have died. While many people turn to homemade diets for their pets, this isn't much better when you consider how often ground beef and chicken gets recalled. Not to mention that if you don't know what you're doing, you could cause malnutrition in your pet. You're pretty much darned if you do and darned if you don't. This makes it so hard to be a pet owner. The fact that you might purchase food that could kill your pet is heartbreaking. Then there's the fact that some companies refuse to come forward, even when there is obviously a serious problem. You pretty much have to hope for the best and that's not very comforting. Recalls like this are one of the reasons I am so picky about the dog food I buy for my puppy. There really are a lot of recalls these days and it makes me wonder if that is the case because there should be more or if we just have better communication these days so the recalls are more noticeable. I don't use any of these brands of dog food, and judging from the recall, I am not likely to, ever. My dog has a combination of dog food from the mill here in town and some specific foods from here at home. I don't just buy whatever there is on sale because I want my pup to be healthy. If I can't afford to make sure he can have a good diet, then that is my problem and not something to be taken out on him. If you do use any of these dog foods, please take the recalls seriously. I know people who just shrug their shoulders and say they can't afford to replace the food, but that is not the right answer. When you get a pet, you are responsible for them until the day they die. If you can't do that, then you probably should not be a pet owner. There are so many recalls these days that it's hard to keep them all straight. 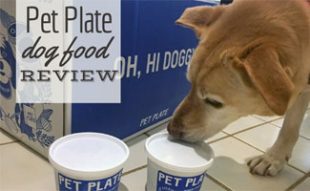 From plastic containers to dog food. Every time I read about another recall, I become more convinced that the best thing to do is to be completely self-reliant. Surely if I can grow my own food I can make a healthy combination for my dog to eat? We have a beautiful Labrador. I cannot imagine trying to tell my son that his dog got ill because someone was careless in a factory. I would much rather try to figure out a formula to make my dog's food myself. Until I do learn how to make my own dog food, I'll continue shopping the way I do. I buy our dog food from a local market. I live in a rural community and we have a couple of feed mills that make food for all sorts of animals. I think I'll just stick with them for now.